A story user map is a method for visually covering a story, to help discussions. The main purpose for making a map is to build shared understanding for the individuals of a team. We started this intro to story mapping with a basic run down and a simple exercise taking you through the morning tasks and making a map. Now we will look at how to define features in a product. When you first start off it is best to have an idea of the ideal product, but have not yet started on your product roadmap. Instead start with the user’s normal workflow (minus the app or software) and figure out how to translate that flow into a product experience. 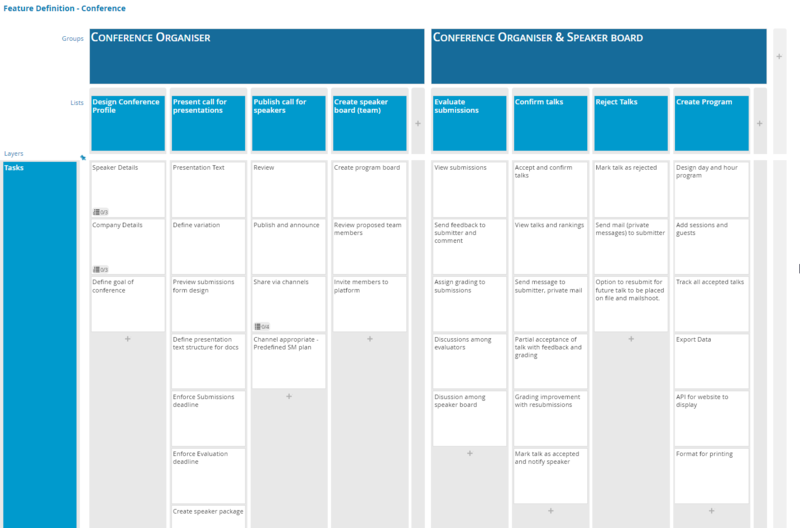 Below I have outlined an example case study of arranging a conference with the persona of the organiser and board member. The team sat down and exchanged tasks, goals and ideas. We then started to construct a story map based on the conference organiser’s first set of responsbilities and workflow. 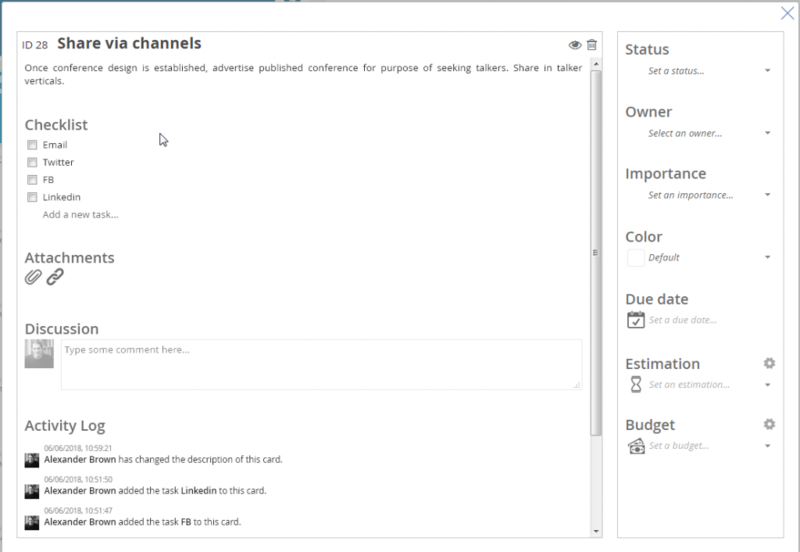 After the initial workflow you will notice the goal at the top linked to the persona. 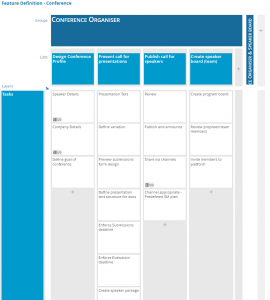 The main activities are in the first row, divided into further tasks in each column which details each activity. After we established the conference organiser’s tasks we then expanded the story map to include the expanded responsibilities and workflow of the entire Team. With this map now completed we can see the user workflow and what features we need defined. Check out our completed map. Next from this map we can develop and build a product roadmap. Check in next week and have an introduction to designing our first MVP roadmap. Also check out from idea to MVP, a seperate article about building from the idea to the MVP.